Back by popular demand Doctor Who favourite Simon Fisher-Becker opens The Misty Moon Film Society’s Autumn Season on Saturday the 5th September @ FlatPlanet, 39 Great Marlborough Street, W1F 7JG. 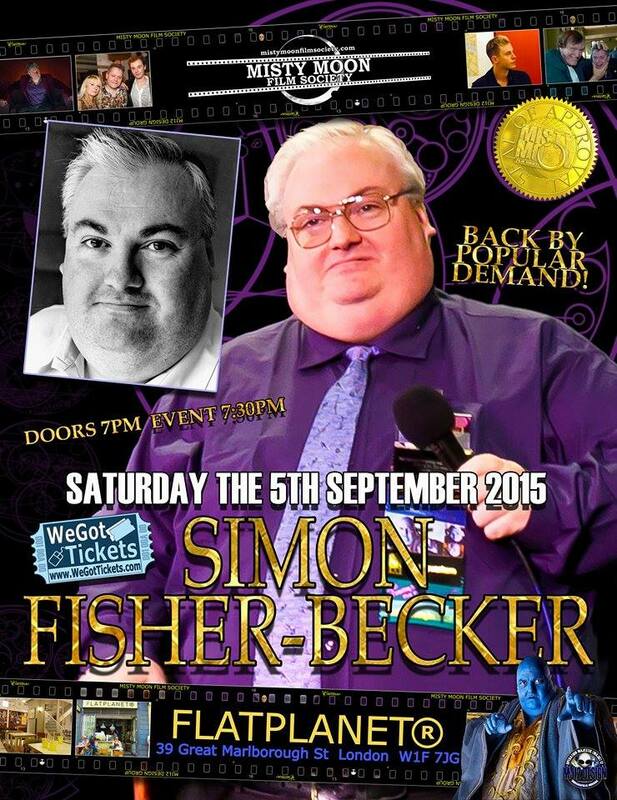 Simon will be regaling us with stories of his career at an intimate Q&A with our outrageous MC Chris Collins. Doors 7pm Event 7.30pm.